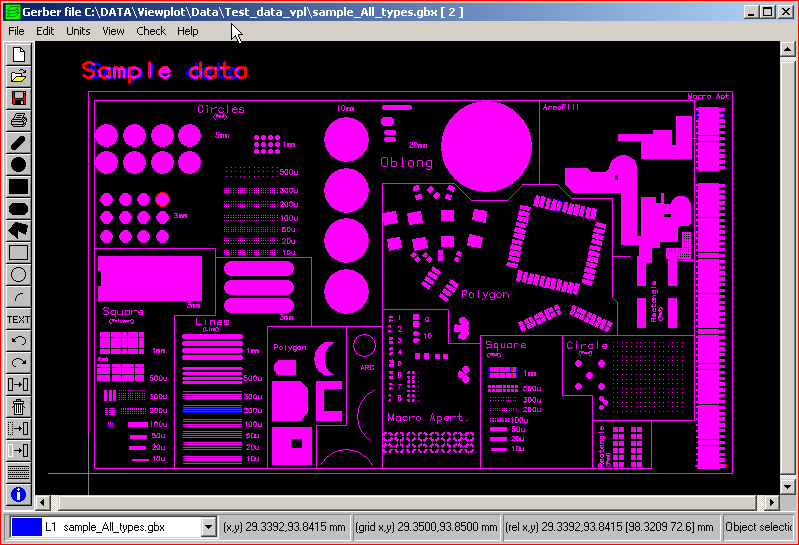 drag & drop the files into the Viewplot icon. 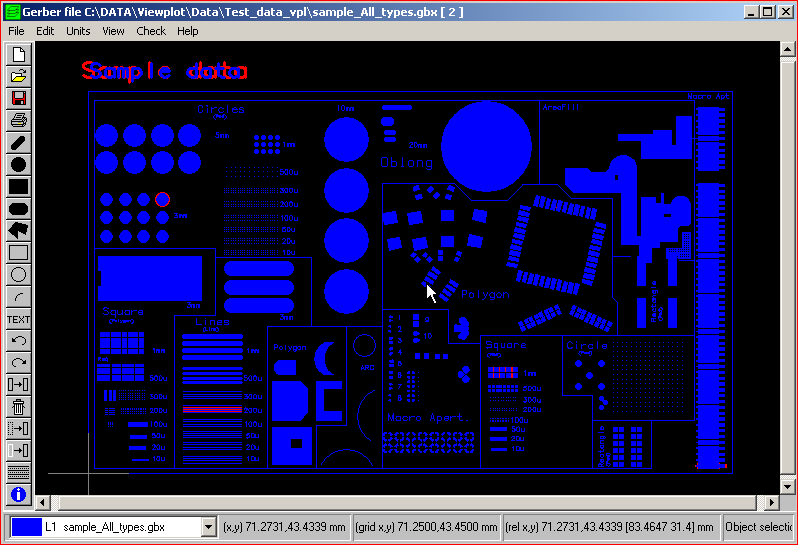 The merged data will be displayed in a Merge color based on the two original colors from the layers. 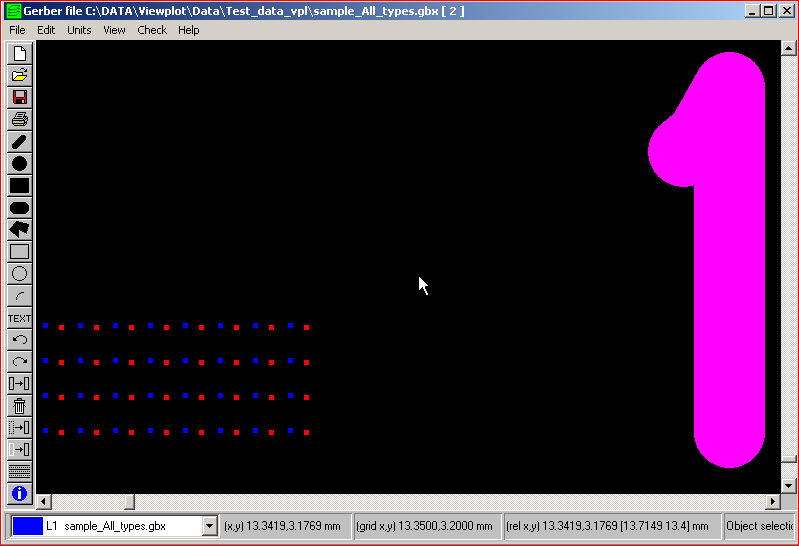 Data that isn't equal on both layer will remain in there original color. By panning and zooming the board can be quickly inspected. 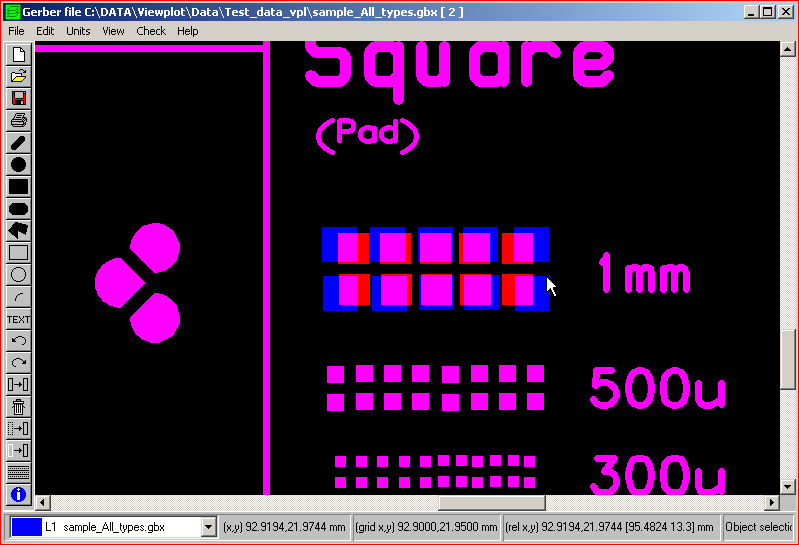 The Purple colored data is equal on both layers, the original color is used when information isn't equal. Only the data that isn't equal on both layers will be displayed in White. Even the smallest change between the data can now be found. 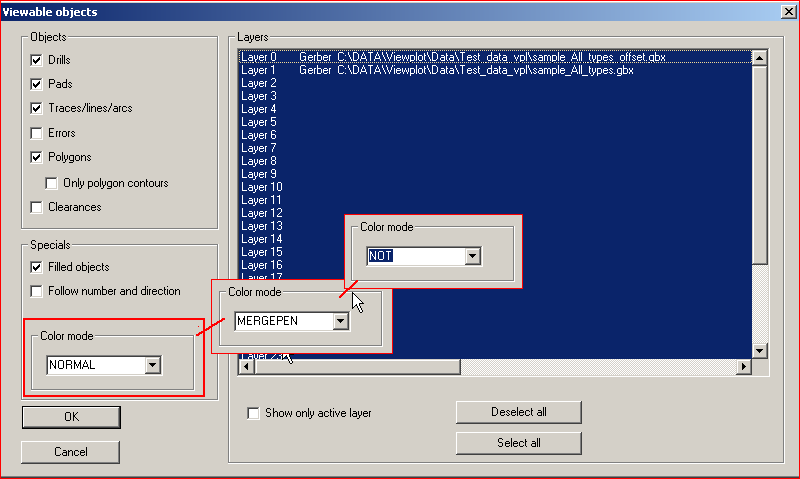 Switch to the "MERGEPEN" or normal color mode to identify what is changed in more detail.